Elkay EZH2O Bottle Filling Station SALE. Available in a variety of styles to fit any application, click, Elkay EZH2O Bottle Filling Stations. 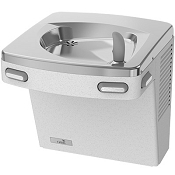 Shop Halsey Taylor Drinking Fountains, Water Coolers and Repair Parts at discounted prices, click Halsey Taylor Products. Shop Haws Drinking Fountains, Water Coolers and Repair Parts at discounted prices, click Haws Products. Shop Oasis Drinking Fountains, Water Coolers and Repair Parts at discounted prices, click, Oasis Products. Shop our NEW water cooler specialty store, featuring discounted prices on water dispensers. Click, www.WaterCoolersUSA.com. Bottle Filling Stations are ideal for education, healthcare, fitness, and hospitality facilities. Shop a selection of water coolers, repair parts and water filters that come with everyday $0 free shipping. GreenSpec Listed water coolers and drinking fountains contain the latest Water and Energy Conservation Technology. About Us | Pittsburgh Water Cooler Service Inc. 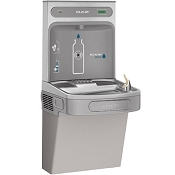 Welcome to PittsburghWaterCooler.com, where you can find a wide selection of Water Coolers, Drinking Fountains, Repair Parts, Replacement Parts, and Filters at great prices from all the major manufacturers including Clover, Elkay, Everpure, Halsey Taylor, Oasis, Sunroc, Haws, and more. We pride ourselves on the ability to provide our customers with the best prices, knowledge, and expertise on drinking fountains, water coolers, filters, repair & replacement parts. Established in 1950, Pittsburgh Water Cooler has been family owned and operated for over 60 years. We are one of the oldest authorized factory service centers for all the major brands of drinking fountains and water coolers in the United States today. 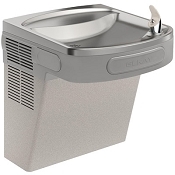 When it comes to shopping for a new drinking fountain, water cooler, or replacement parts for your existing water coolers, we have the knowledge and experience to provide you with the best advice.